This session was MONTHS in the making! 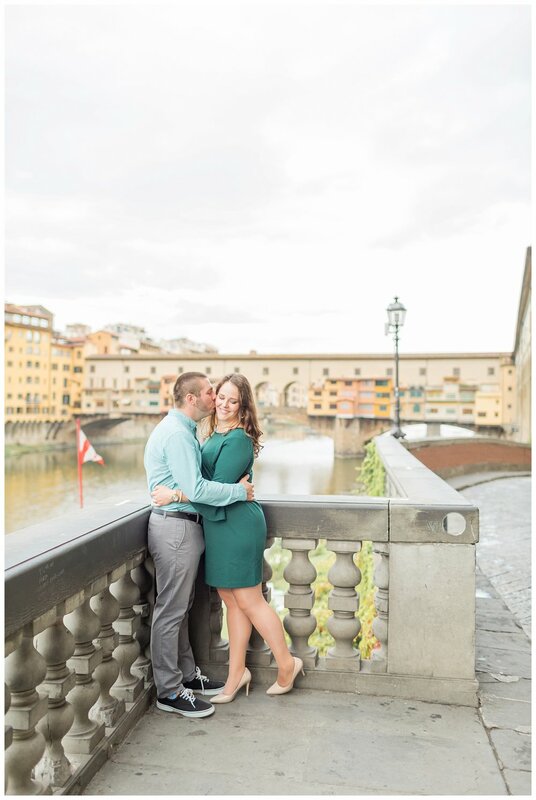 Annie initially reached out to me because she saw on Instagram that we would be in Florence at the same time. Thanks goodness for social media! 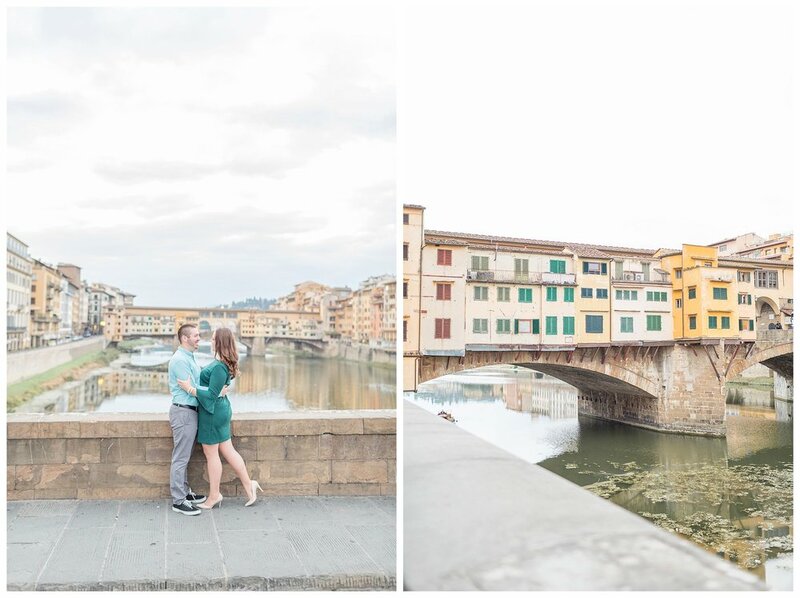 Because we would both be roaming around to different cities within Italy, we had to plan when our schedules would synch up and it ended up being during my last day in Florence. 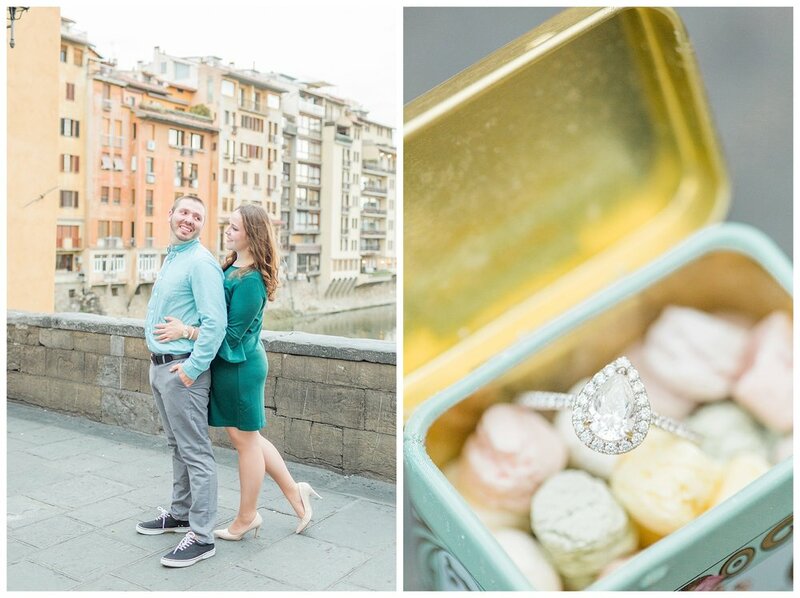 We met at the Ponte de Veccio at sunrise to start our engagement session! 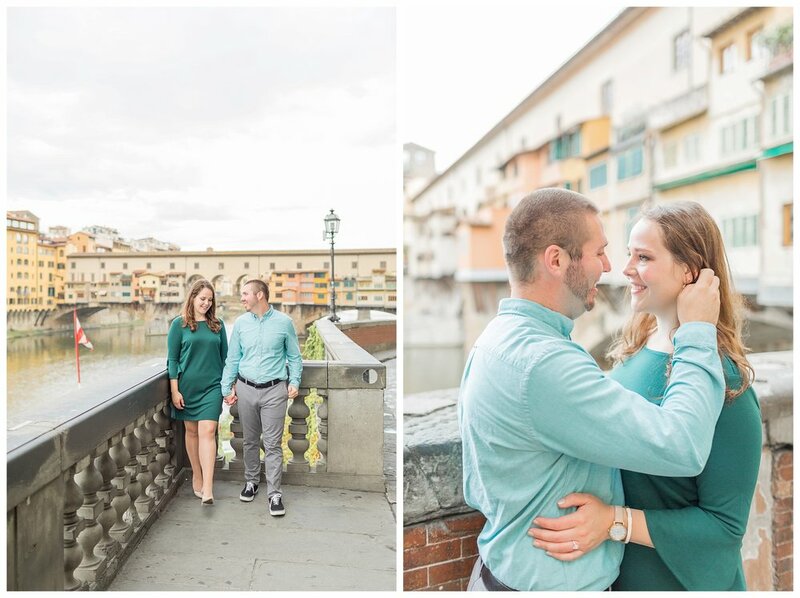 Although it ended up being a tad overcast, we walked all around the riverside and ended at the rooftop of my Air Bnb! Annie and Jeff are just the sweetest pair. The two met in college just six weeks before their 21st birthdays (yup! they share a birthday). They were actually born only 2 minutes apart, what a crazy world! They dated all through their twenties and ended up building a life together in New York. 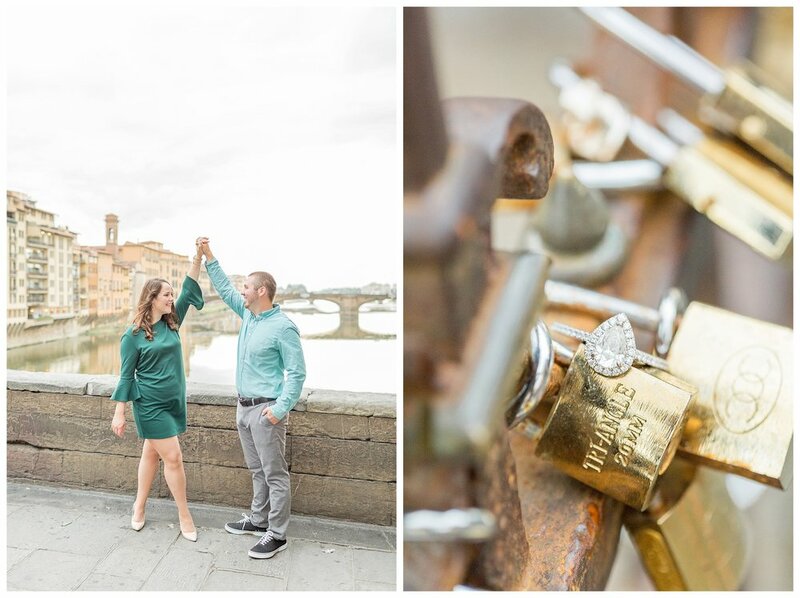 Jeff popped the question at a little park near their home before this celebratory trip to Italy! 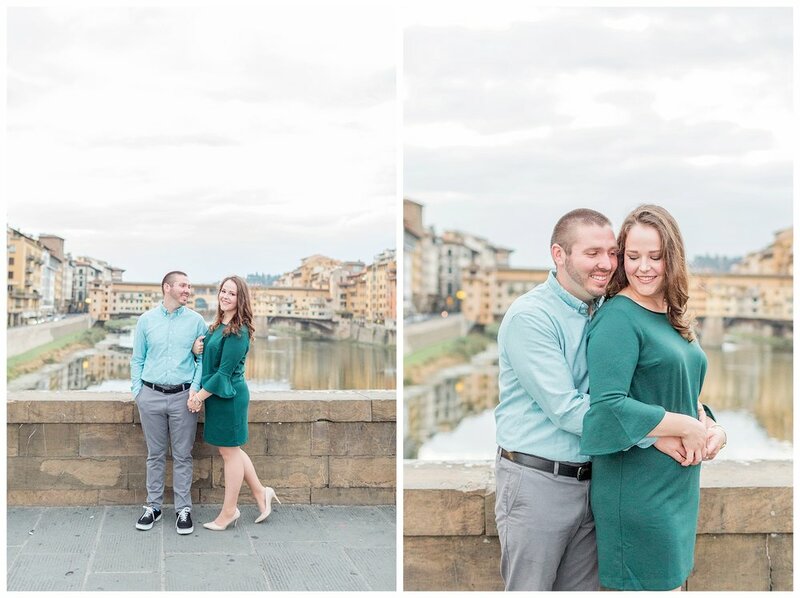 I can’t wait to hear all about when they surprise their friends and family with this session. Here are a few of my favorites!